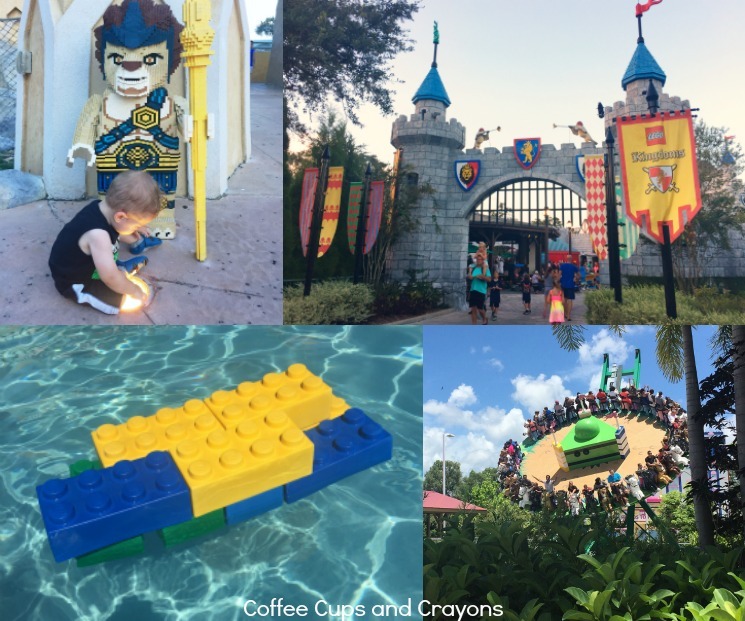 The LEGOLAND Florida Resort is awesome for families because it is “built for kids”! It’s LEGO-lovers’ paradise, jam-packed full of LEGO themed rides, exhibits, games and shows geared toward kids ages 12 and under and their families. If your kids love building and playing with LEGO sets and LEGO bricks then they will adore visiting LEGOLAND Florida Resort–their favorite sets and mini figs are brought to life throughout the parks! 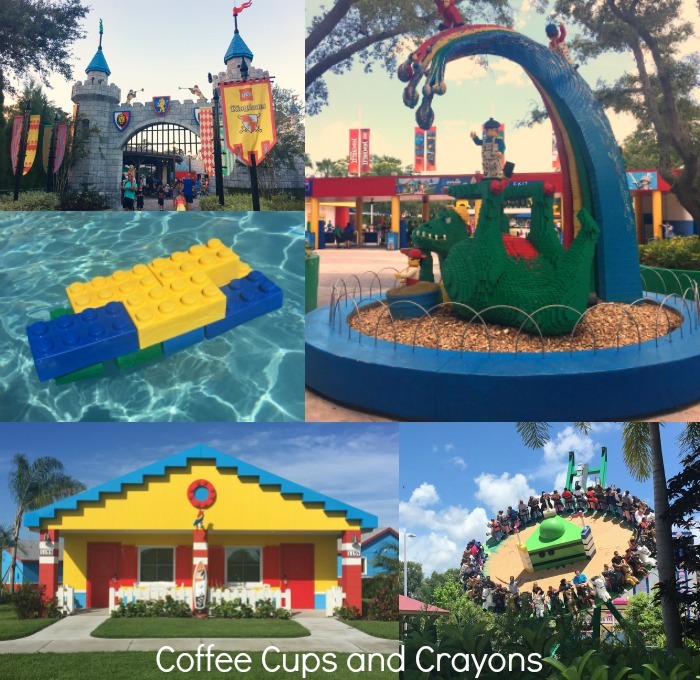 LEGOLAND Florida Resort is a 150 acre theme park located in Winter Haven, Florida with over 50 interactive attractions perfect for the toddler to grade school set. There is a separate water park area and two official lodging sites. Throughout the theme park kids get to explore real-life versions of some of their favorite LEGO sets. They can wander through Heartlake City, play in LEGO NINJAGO World, see and hear larger than life DUPLO sheep and more! 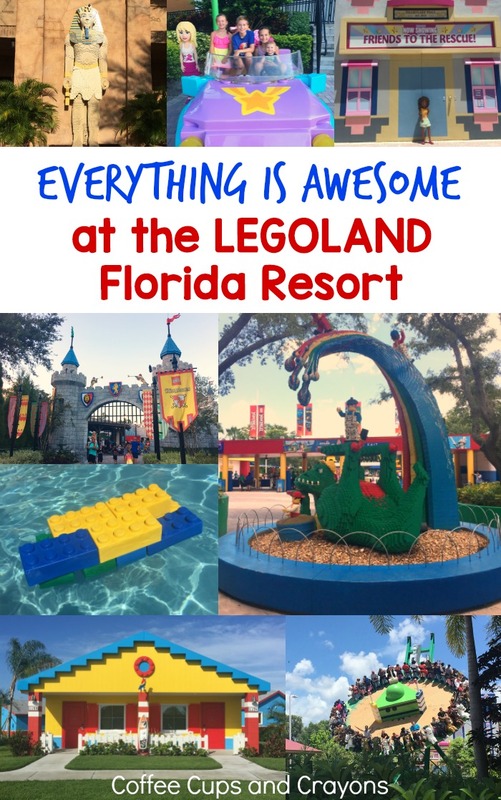 There is a TON of fun things for kids to do at LEGOLAND Florida Resort! We recently had a chance to visit with media tickets and were surprised by just how kid-friendly it was. This is just a sampling of the attractions you can find in the LEGOLAND Florida theme parks. Staying at one of the LEGOLAND properties makes you visit to LEGOLAND Florida Resort even more awesome! Both the LEGOLAND Hotel and the Beach Retreat are completely LEGO themed and tons of fun. They both allow for early entry to the park, free breakfast buffet and zero-entry pools with floating LEGO bricks to build with. The LEGOLAND Hotel is just steps from the park and features over 2 million LEGO bricks on the property. There are 152 themed rooms and lots of amenities that any LEGO lover would adore! 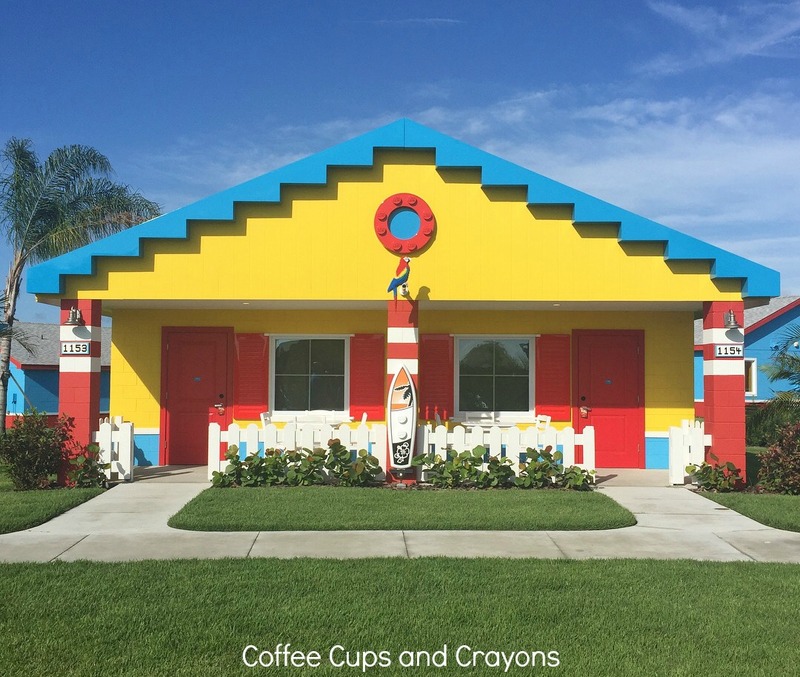 The Beach Retreat is a brightly colored village made up of 83 beach themed bungalows. There are 166 bungalows, or suite-style rooms grouped into 13 coves. Each of the coves is named after a popular LEGO Minifigure like Shark Suit Guy. With LEGO themed fun around every corner everything really is awesome at the LEGOLAND Florida Resort!